Pitney Bowes continues to evolve its EngageOne portfolio for customer communications and experience. This week, the company released a new SaaS-based solution called EngageOne Communicate, which is positioned to enable small and medium sized businesses to create scalable and responsive digital communications quickly and easy. Recently at the Venetian in Las Vegas, Adobe employees, partners, customers, press and analysts gathered for the annual digital marketing conference, Adobe Summit 2017. With over 250 sessions this year, the event drew over 12,000 attendees—a 20% increase over last year’s participation—including more than 120 sponsors and 1,500+ partners. The event took place over the course of three jam-packed days with a little something for everyone in attendance. Keynotes and break-out session topics ranged from cross-channel marketing, to customer experience, data-driven marketing, integrated marketing, mobile marketing, and programmatic advertising. In April 2015, Adobe launched Adobe Document Cloud, their newest cloud offering, giving users the ability to manage documents at home, and in the office across devices. With this launch several upgrades were made to Acrobat DC, new Mobile Link and mobile apps were made available, and eSign Services (formerly Adobe EchoSign) were released packaged with every subscription of Acrobat DC. Last week, it was announced that seven leading companies in the global 3D printing sector have launched a new consortium—the 3MF Consortium—focused on interoperability, functionality, and standards within the 3D printing industry. As a first step, the consortium is releasing a new specification—the 3D Manufacturing Format (3MF) specification—that enables design applications to send “full-fidelity” 3D models to other applications, platforms, services, and printers. The first version of the specification is free, and available for download on the consortium’s website. appeared in the Wall Street Journal. The author, Geoffrey Fowler, compared five offerings: Apple Photos, Shoebox, Lyve, Mylio, and Adobe Lightroom. In the article, he gives his impressions of each service and their pluses and minuses. Ultimately, the author decides that Lightroom is best for him. As creatives and analyst alike return from their trip to Los Angeles for Adobe’s Max conference many are left to contemplate how the announcements at Max 2014 will affect how they create and distribute their work. While most of the major product announcements were covered in the first day (please see our earlier blog from the event on all the highlights) there are several key takeaways from this event that we felt deserved further discussion. On May 14th and 15th, Adobe organized the fourth edition of its European Digital Marketing Summit with the theme “Re-Inventing Marketing”. The event helps Adobe to better equip marketersÂ for the rapid transition to digital, and to better engage with the evermore empowered consumer.Â The event, staged at the ExCel Centre in London attracted over 3,800 visitors from 47 countries, and represented a 30% increase in attendance compared to 2013. 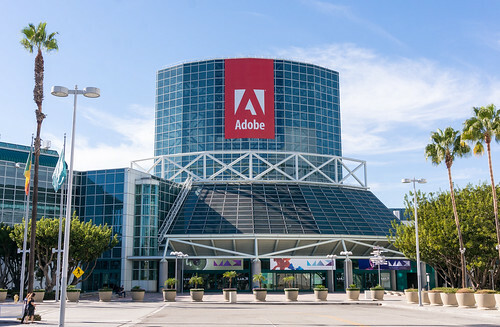 At the conference, Adobe (and key partners) showcased their technological leadership and brought in a range of interesting speakers to share best practices, insights, and entertainment. Besides the main stage, they offered almost 100 breakout sessions on several topics, ranging from the latest technology trends on mobile, social, and multi-channel, to how enterprises can overcome organizational barriers between CIOs and CMOs.